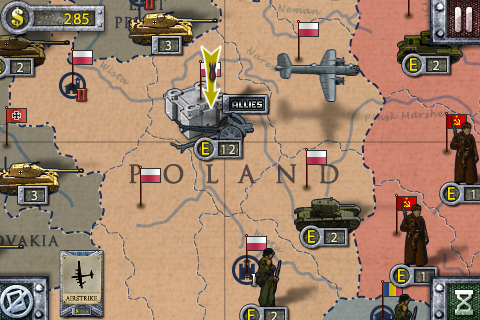 European war 2 is a new style strategy game on the background of WWⅡ(Super Risk).In the game depending on troops you can compete for territories such as lands,cities and oceans,further for resources,develop economy and military,conquer enemies' capitals and destory the enemies.There are 28 European countries including more than 200 land and sea areas,you can choose 12 countries from the Axis Powers and the Allies while enjoying kinds of game modes. 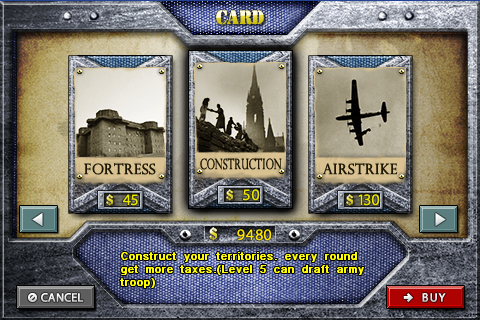 During the game you need to operate and distribute the three basic troops reasonably which include soldiers,tanks and artillery. 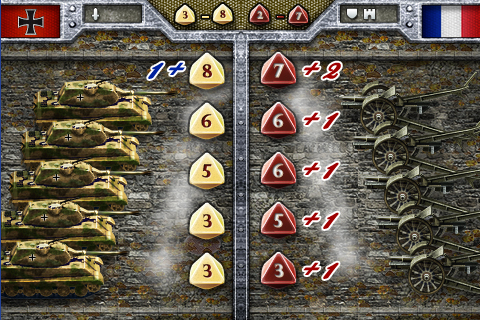 (Soldier troop with high yields but general attack,tank troop with high attack and continue action when complete destroying the enemies,artillery troop attacks soldier troop and tank troop while they cannot strike back),judge on the current situation correctly at any time for the AI is outstanding.The attributes of arms are different from each country.For example,the tank of Germany is most powerful but with high price,the soldier of Soviet Union is cheapest,the navy of Britain is best. 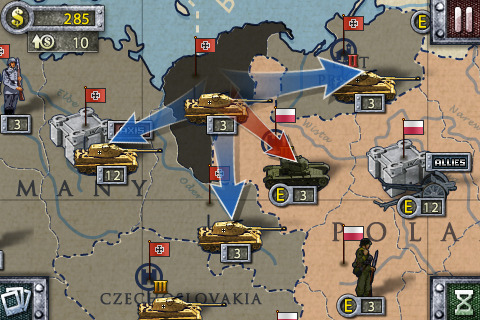 Conquest mode:choose one country from the 12 of the Axis Powers and the Allies to dominate Europe.The others will be your allies,enemies and neutral. 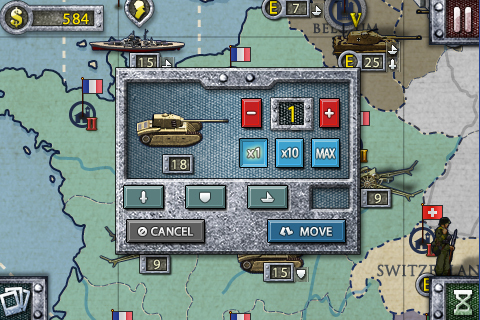 Battle mode:the main line to 4 countries (Germany,Britain,France,Soviet Union),16 battles for the game.